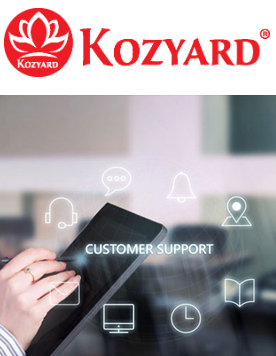 The Kozyard Habana 5 PCs Outdoor Bistro Furniture Patio Set, with its contemporary look, offers you a comfortable and stunning outdoor lounge. 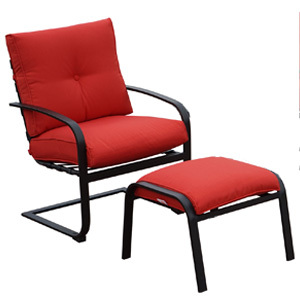 This conversation set will let you and your family sit back, relax and enjoy your outdoor time. It is perfect in the poolside, garden, deck or patio. This set is easy to assemble and is designed to become a focal point of your garden. 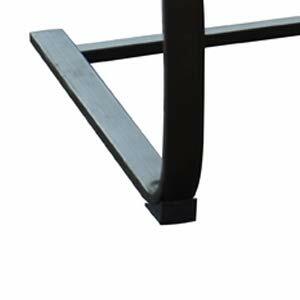 Durable powder-coated and weather-resistant stable iron frame, ensuring anti-rust and extending a longer service life. Frame color is a beautiful dark brown (a bit bronze), it will match with your yard/patio perfectly. Rest your tired feet on this ottoman! 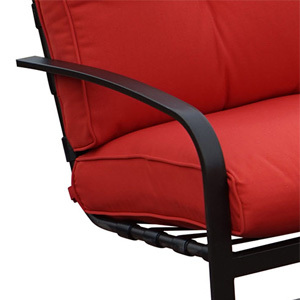 It brings style, comfort and fun to any outdoor space. 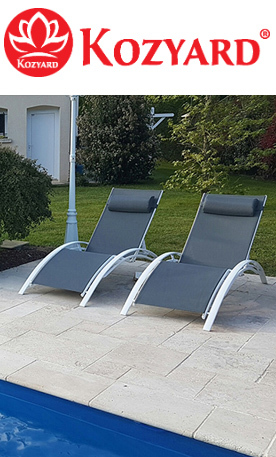 Ideal for patios, pools, decks, our multi-functional ottoman and can be used as a seat or footrest. 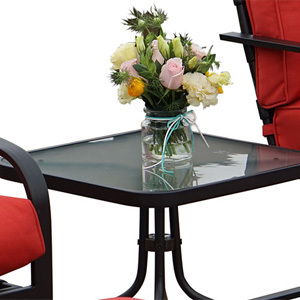 Bistro set features a glass top table for maximum strength and support, perfect for a couple glasses of wine or the morning coffee and newspaper. 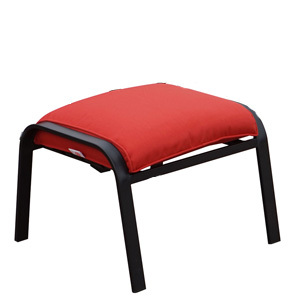 Beautiful cushion and high-quality frame to greatly assure the strong structure for stability, providing a comfortable seating experience at the meantime. Non-slip design of the foot base to improve the stability and ensure your safety. 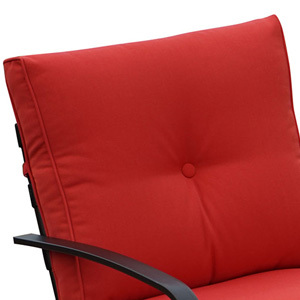 Removable thickened cushion for superior comfort experience, well-made and super soft. 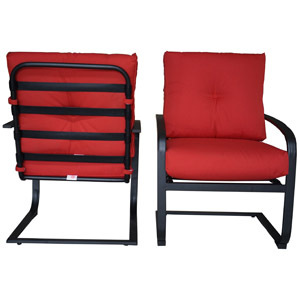 Seat and back cushions have two straps which can be fixed in place. Nice curved arms are strong and stable. They provide a great support to your arms.